A military judge in California has denied a motion to dismiss charges against a Meriden Marine sergeant whose squad killed 24 Iraqi men, women and children after a bomb killed a Marine. Lt. Col. David Jones ruled Friday at Camp Pendleton on a defense motion claiming there was unlawful command influence while a general considered a court-martial for Staff Sgt. Frank Wuterich. The judge ruled there was no record of any "meaningful comment" between the general and an aide who had investigated the case as a military lawyer. Wuterich is facing trial on reduced charges of voluntary manslaughter and other crimes in the November 2005 attack in the town of Haditha. 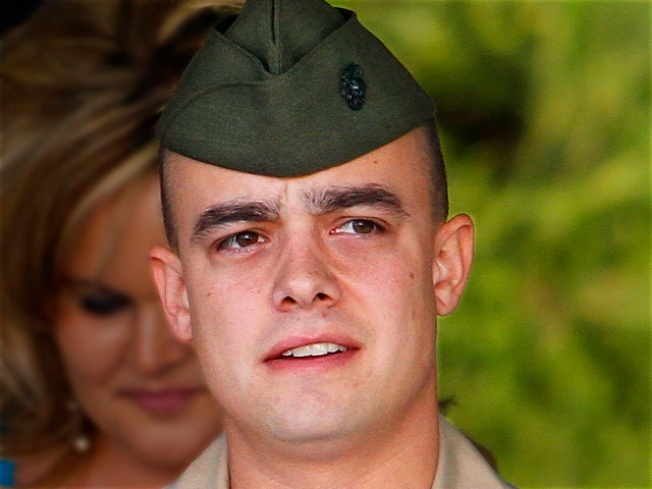 Wuterich, 30, is one of eight Marines originally charged with murder or failure to investigate the killings. Six have had charges dropped or dismissed, and one was acquitted. Iman Walid Abdul-Hamid, 14, from Haditha said he lost seven family members in the attack, including his parents, grandparents, two uncles and a brother. "We were sleeping. My father was reciting Quran in another room, when the soldiers broke the door and shot him dead," he said. "These killers should be killed. Their case should not be closed before they are justly tried. It is not right to throw away this case."